This Saturday (13th August), Linlithgow Rugby Club will host the Scottish Grand Final of Aussie Rules Football on the top pitch at Mains Park at 2pm. All are welcome to come along and watch this match. 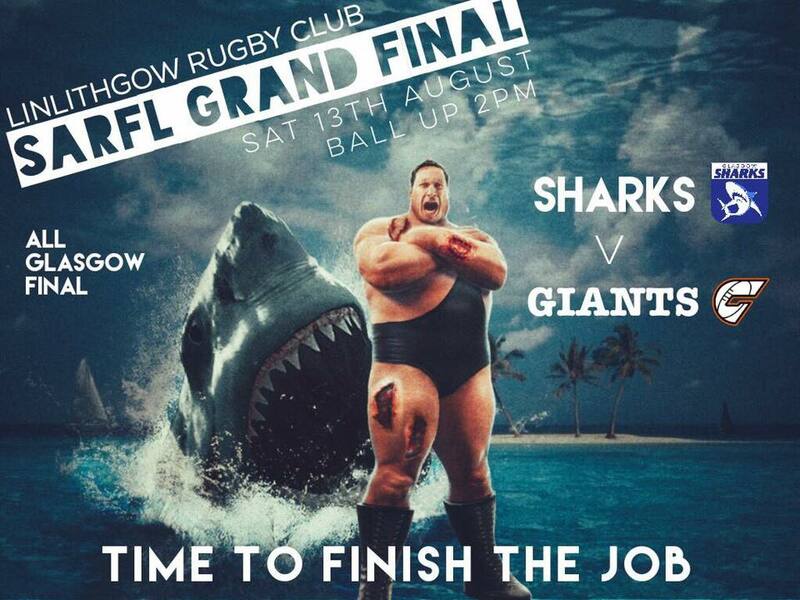 The final will be played between two Glasgow teams – the Sharks and the Giants. Last Saturday, the teams that finished second and third in the Scottish League played off against each other in the Preliminary Final, which was also held at Mains Park in Linlithgow. 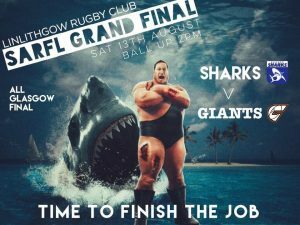 In this match, the Glasgow Sharks defeated the Edinburgh Blood by a score of 98-87, to progress to the Grand Final. The Glasgow Giants, who finished top of the Scottish League, qualified automatically for the other Grand Final slot.